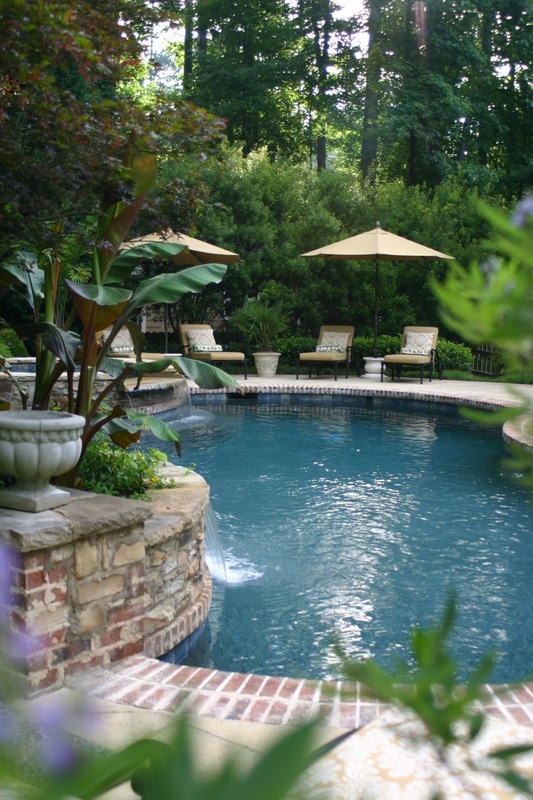 Pool Design and Construction Contractors in Alpharetta, GA A beautiful pool is a valuable asset, whether for leisure, recreation or training. 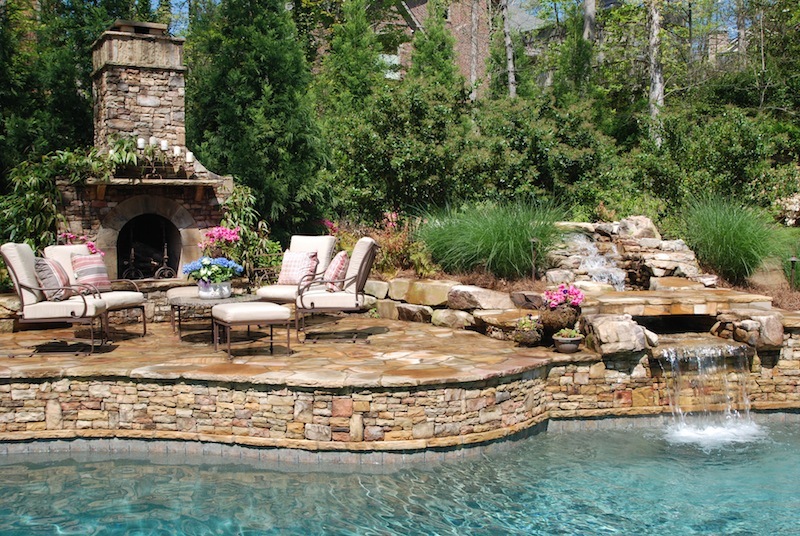 Outside Landscape Group can custom design and build a pool to meet your personal needs and lifestyle. A beautiful pool is a valuable asset, whether for leisure, recreation or training. Outside Landscape Group can custom design and build a pool to meet your personal needs and lifestyle. We believe that all pools should be designed to blend aesthetically and creatively with their natural surroundings for the best possible backyard environment. This is what separates us from most “pool contractors” who normally do not possess the overall landscape vision and design expertise to blend the pool seamlessly with the surrounding environment. Building a pool starts with careful planning and is an important financial investment for any homeowner. Consideration must be given to the shape of the lot, the existing landscape, the terrain and the maximum sun exposure. Other considerations are lifestyle, entertainment needs, safety, budget, and the personal preferences of the homeowner. 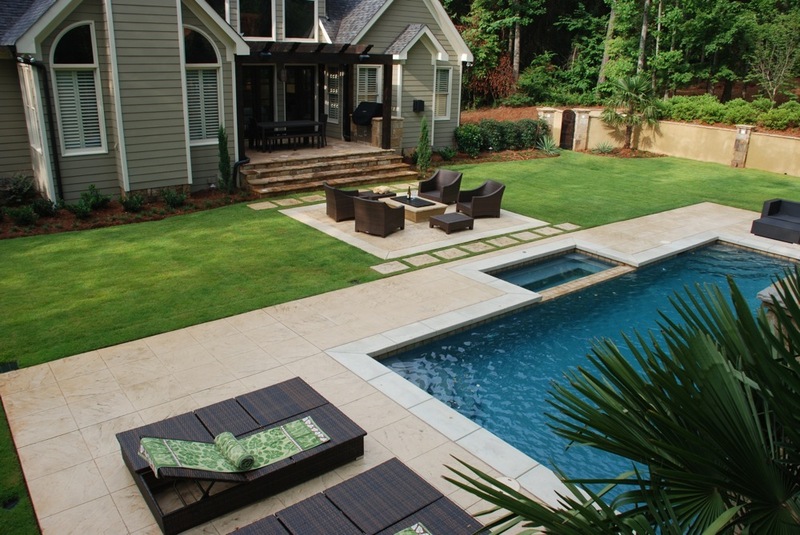 It’s important to understand that a pool is only one piece of your backyard landscape. For the best outcome you should plan the entire project at one time so there is an integration of the design and materials for the pool, patios, decks, outdoor kitchen/grilling area, walkways, fencing, lighting, drainage and surrounding landscape. 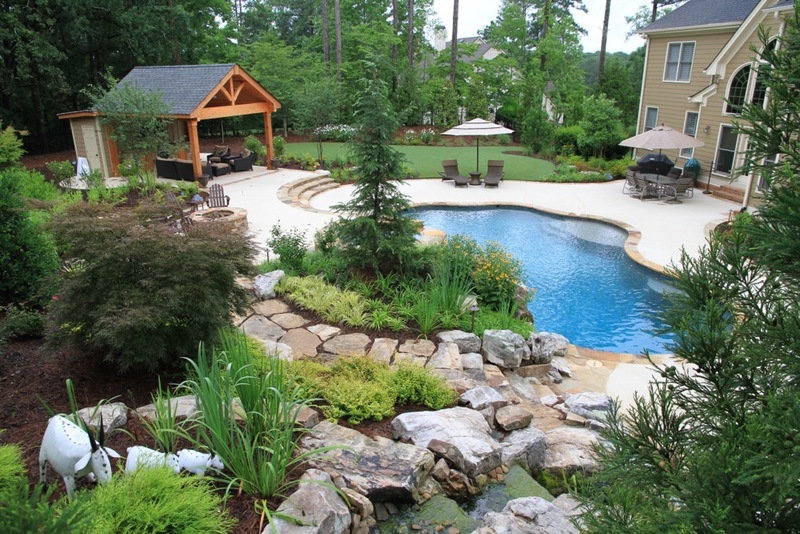 Landscaping is critical to the success of any pool project. It can be creatively planned to provide privacy from neighbors and add bright summer color. The possibilities are endless, and the results of a great plan are breathtaking. The plan starts with your vision, but Outside Landscape Group can help you paint the picture. It starts with a creative design and finishes with your well-crafted, beautiful pool oasis. Regardless of the vision you have for your outdoor living area, we can help you create your dream pool and surrounding landscape. Give us a call today, or contact us to learn more about how we can help you with your outdoor pool and spa needs.